Happy new year! We are kicking off 2017 with a (somewhat) healthy recipe: brown rice with multi-grains, chestnuts and mushrooms. I cooked this with the new Tefal Advanced Spherical Pot Rice Cooker (model RK8115) and I love how every grain came out perfectly cooked, separate and without any mush. It was al dente with a nice balance of yield vs bite. Best of all, nothing stuck to the pot, unlike my other rice cookers! 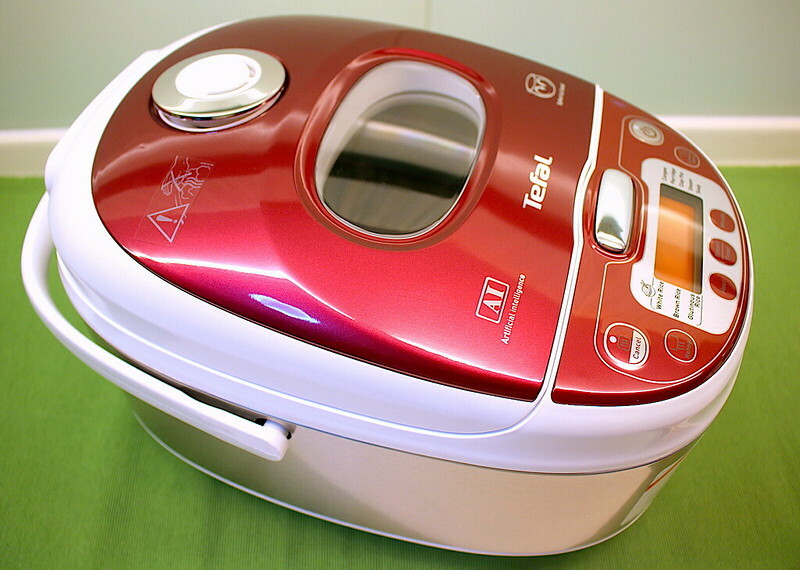 The RK8115 rice cooker is a beauty with its metallic and maroon exterior. It's compact and fits into a small kitchen. On top of that, it's super efficient machine that cooks more than just rice. 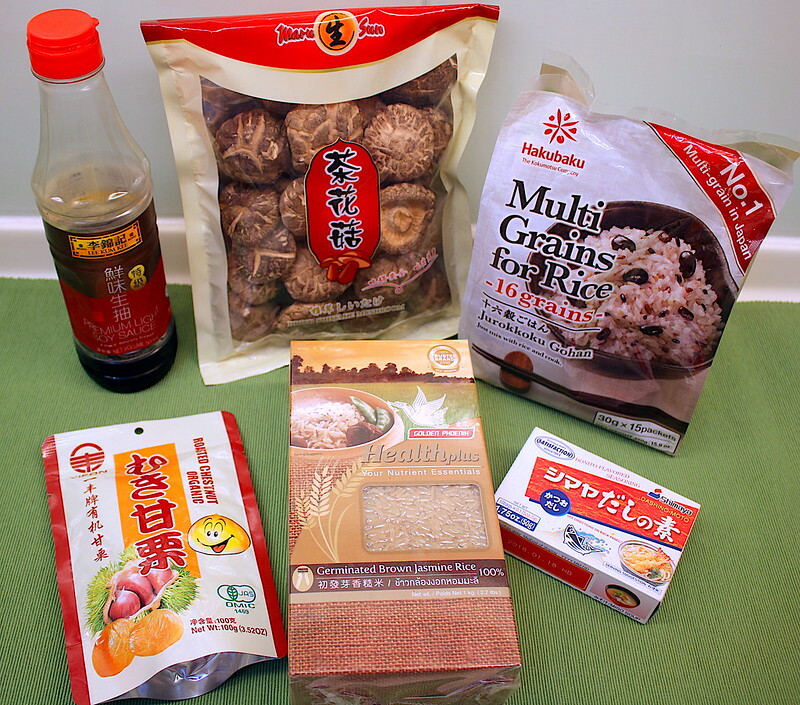 Ten cooking programs include: White Rice, Brown Rice, Glutinous Rice, Congee, Porridge, Claypot, Steam, Soup, Reheat and Keep Warm. 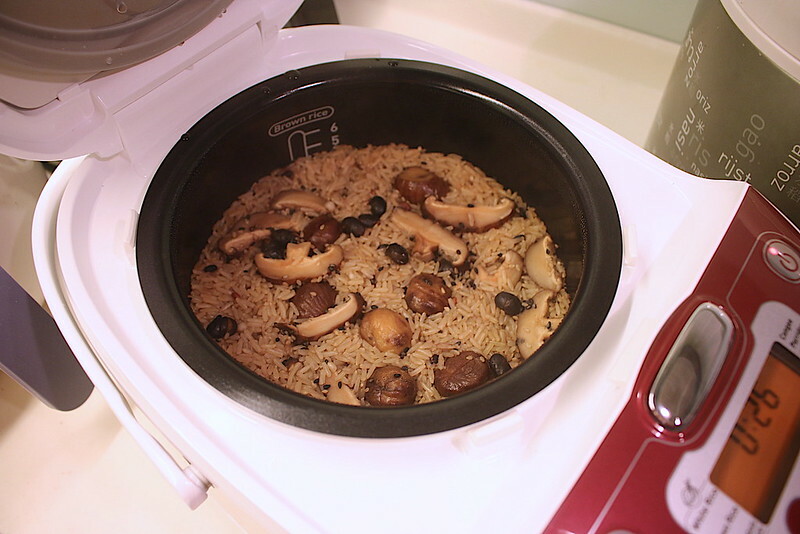 The capacity is 1L and you can cook six cups of rice - just right for a small family, or 1-8 individuals. But what is really innovative is the spherical pot. The design is inspired by traditional methods of cooking rice over fire. Doesn't it make sense? 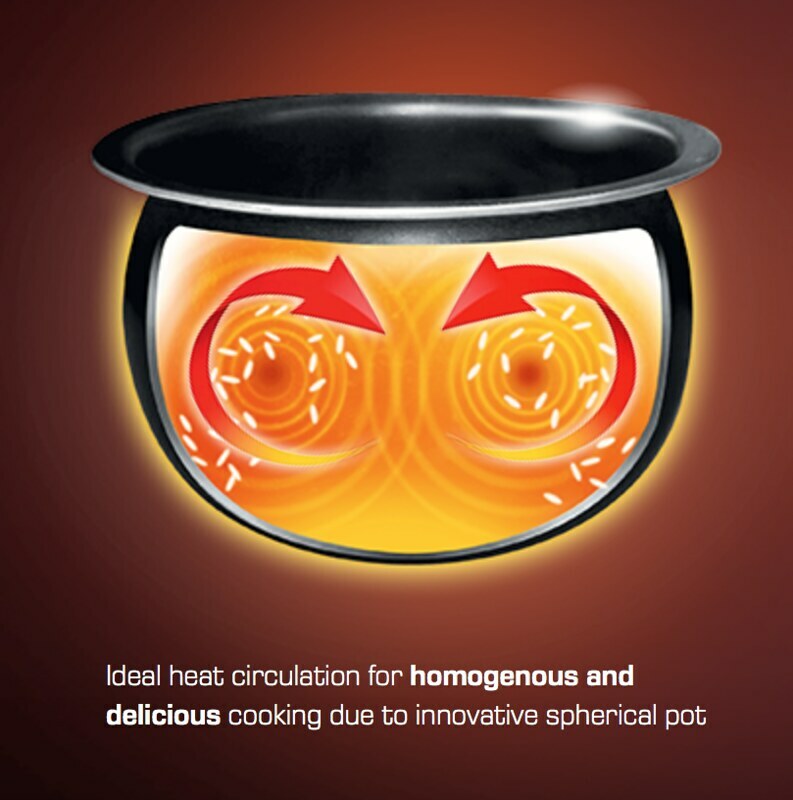 Tefal's spherical pot is orbed at a 62 degree angle at the brim and bottom to encourage even heat circulation. 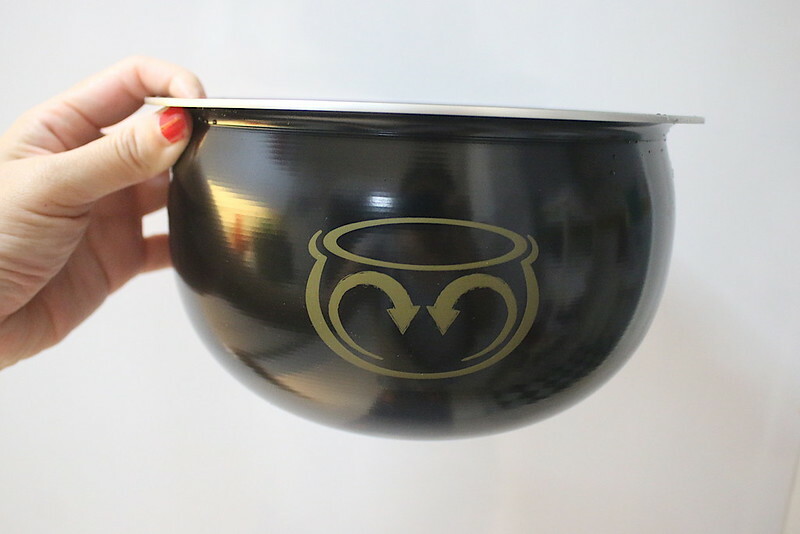 With 2D spherical heating technology that emits heat from the pot's sides and bottom, the rice grains are heated evenly by swirling circularly instead of vertically. You get homogenous and deliciously cooked rice. 1. Mix soy sauce, sugar, and 1/4 cup water. 2. Soak mushrooms til soft and slice. Set aside the soaking water. 3. Add the (rinsed) brown rice and soaking water into the Tefal rice cooker. Add more water to the mark that reads 3 cup rice. 4. Add multi-grains, chestnuts and dashi. Close lid, set to brown rice mode and leave it to cook. 5. When ready, fluff the rice and serve with favourite dishes. We like it on its own too; it's a one pot meal, and is especially tasty with some spicy chili sauce. I have to say I'm really pleased with the results. 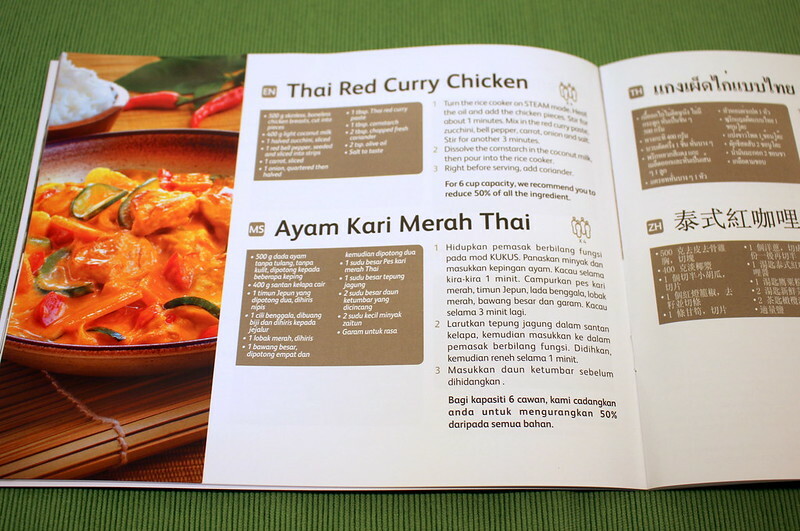 The Tefal rice cooker comes with a cookbook with recipes for claypot rice, Cantonese boat congee, stirfries, steamed dishes, soups, and even desserts. Yes, you can make chocolate cake with this cooker. The Tefal Advanced Spherical Pot Rice Cooker RK8115 is priced at S$179 and is available at leading electrical and department stores. Visit the Tefal website and Facebook page for more information.